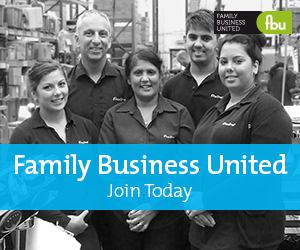 Why the family want to be in business together? What returns are we looking for? These questions might sound obvious; but the tricky part is that the reasons why a family want to stay connected through a family enterprise often change over time. It cannot be assumed that whatever drove one generation will necessarily persuade the next generation to devote part of their lives to the family enterprise. For example, founders are often motivated by the entrepreneurial dream of being in control of building a new venture and creating a legacy to pass to the next generation. But the next generation face a different challenge. Are they committed to preserving and extending this legacy? Do they have a shared understanding of what it is? Does it mean as much to them as it did to the founders? Does the family want the family enterprise to continue because it provides them with career opportunities, or a good investment, or because it is their name above the door, or because they feel responsible to the other stakeholders, or because it is good fun or because it is a bit of each of these and some other things besides? A very important point about understanding the shared purpose in a family enterprise is that it is usually a combination of financial and emotional reasons. This is one of the things that makes family enterprises different from other types of business. Providing the desired level of financial security for a growing family. Creating, preserving and/or extending a legacy of family ownership to pass to the next generation. Pride in a brand (especially if it’s the family name) or a reputation for being a family enterprise. Providing career opportunities for family members. Attachment to a particular industry, product or geographical area. Keeping a growing family in touch with each other as they get on with their own lives and grow up and grow apart. Putting something back through philanthropy. This is not a tick list and every family has to articulate their own version of a shared purpose. But when the family understand why they are in business together, there is no doubt that this can be a great strength. The “glue” binds them together and makes them willing to stick with the family enterprise through thick and thin. Equally, the absence of a clear shared purpose poses significant risks and dangers. Without it, as time unfolds, there will just not be enough “glue” to bond the family members to each other and to their collective investment. In the absence of “glue”, things tend to fall apart. And when this happens, it often results in the family’s wealth and their personal relationships being wasted in needless conflict. When families end up in conflict, it usually involves family members who have different ideas about what they want from their family enterprise. One might want to maximise the return on investment while another wants to preserve and extend a legacy to pass to the next generation of family owners. There is ample scope for conflict here but the real problem is perhaps that these family members should never have been joined together in a family enterprise in the first place. Articulating and writing down the shared purpose, and putting it at the front of the written Family Constitution, makes it far easier for individual family members to decide whether a role in the family enterprise will either help them achieve what they want for their lives or constrain them and thwart their own ambitions. The standard against which family members should be encouraged to measure their enthusiasm for the shared purpose is ultimately very practical; is it “good enough” for me to want to be part of the family enterprise, in whatever role(s) I choose; owner, executive, leader or family member. The standard of “good enough” is, frankly, as good as it can be in the real world, and if it cannot be achieved in the eyes of some, then the practical question that needs answered is how to let family members who do not want to be in the family enterprise exit gracefully, and allow others, who have a sufficiently strong sense of shared purpose, move forward together. If structures are created that bind people into a family enterprise against their will, the feelings of reluctance, disappointment and even coercion will leak out eventually, usually with troublesome consequences.